My blog has been a bit quiet this month - you probably realize that the reason for this is that life is anything but quiet at the moment. 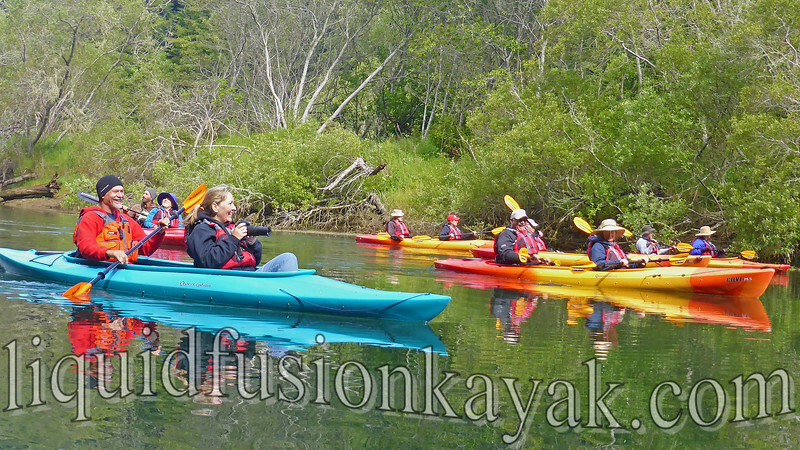 Liquid Fusion Kayaking is in full swing with our summer tours. Each day I consider it an honor to be able to share the outdoor world with others. From beginning kayakers (many who don't even know how to swim) to seasoned paddlers looking to improve their skills, I feel very fortunate to be able to share the wonders of the Mendocino Coast. Locals enjoying a kayak birding tour on the Noyo River. The Noyo River is so beautiful and alive!!! 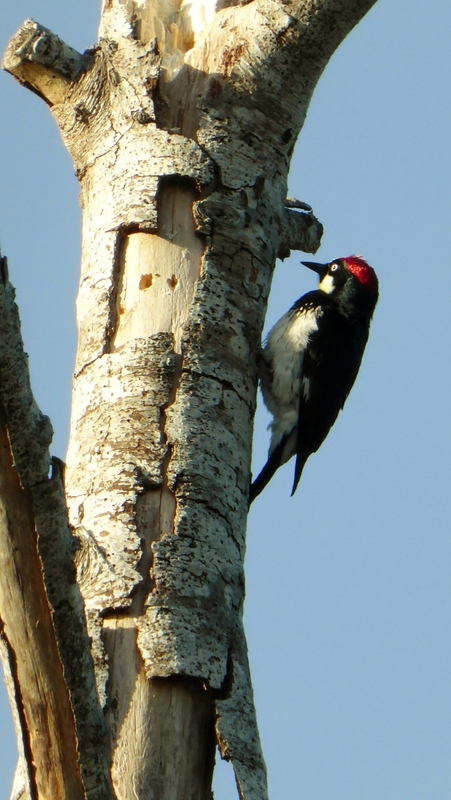 A highlight of our Noyo River Tours this summer has been acorn woodpeckers nesting in the alder snag by our shop. Everyone is fascinated by them and I am observing and learning more about their life history and complex social structure. Kate Marianchild describes it well in her book Secrets of Oak Woodlands: Plants and Animals Among California's Oaks. Acorn Woodpecker prepares to enter its nest in the alder tree by LFK Headquarters. 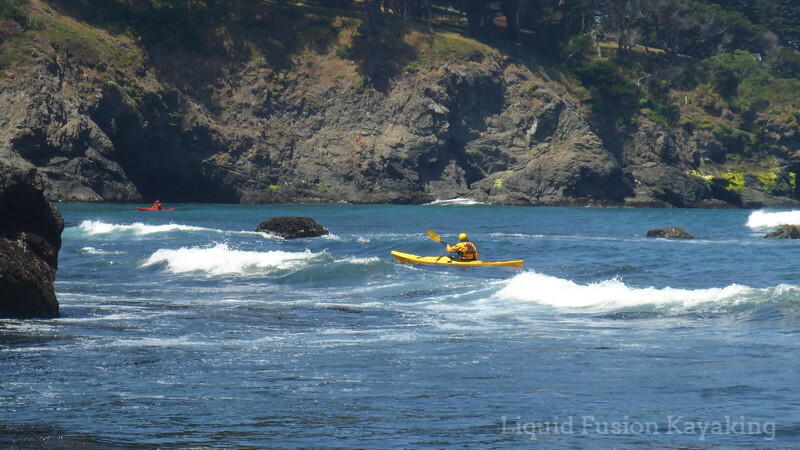 On the ocean, I have been co-teaching with Jeff Liquid Fusion Kayaking's Art of Sea Kayaking Mendocino series and Whitewater of the Sea Adventures. After this month's sea kayak surfzone class, I see the need for simple instructional information on the surf zone - specifically for sea kayaks in the surf. Stay tuned for my blog posts on sea kayak surf zone skills. Combining surfzone and rock gardening skills to traverse through a rocky surfzone on the Mendocino Coast. Whitewater of the Sea continues to be a blast! I highly recommend it for anyone who is adventuresome, physically fit, and comfortable in the water and especially if you are interested in ocean whitewater kayaking aka rock gardening or rock hopping. Our funnest trips are groups of friends or family who come out together. Last week, we had a family of 7 including 5 teenagers. Everyone rocked!!! It was especially seeing the teenagers watching in awe as their Mom got some of the best rides of the day. A Mom showing her teenagers how it's done on a Whitewater of the Sea Adventure. Jeff and I continue to take Tuesdays off. The idea is that it is a day of rest and rejuvenation. We definitely get both. I have a blog drafted to share more about our Tuesday adventures which include whitewater river kayaking, kayak fishing, surfing, and mountain biking. 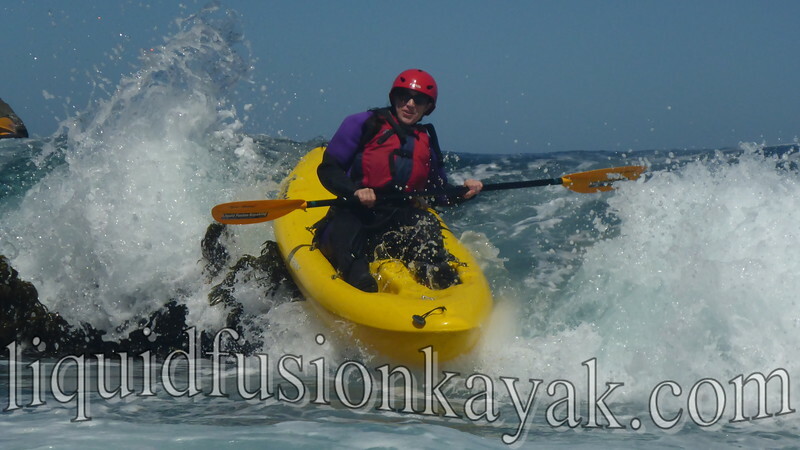 As of June 2018, Liquid Fusion Kayaking has been officially running kayak tours and classes on the Mendocino Coast of California. I have been reflecting on the evolution of our business and am excited to see what the next 10 years will bring.